HAPPY THANKS GIVING ONE AND ALL!!! I woke up Monday and thought I want to do a nice Thanksgiving card... for Thanksgiving. This was what popped into mind. I made myself laugh... but I scared myself a little too. Now if I can just catch a showing of Charley Brown Thanksgiving I'll be set. 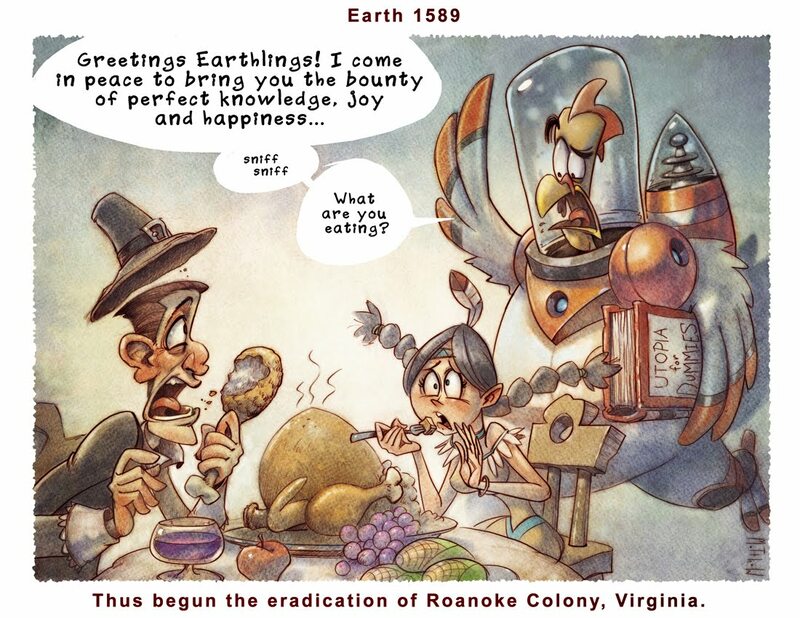 Re: HAPPY THANKS GIVING ONE AND ALL!